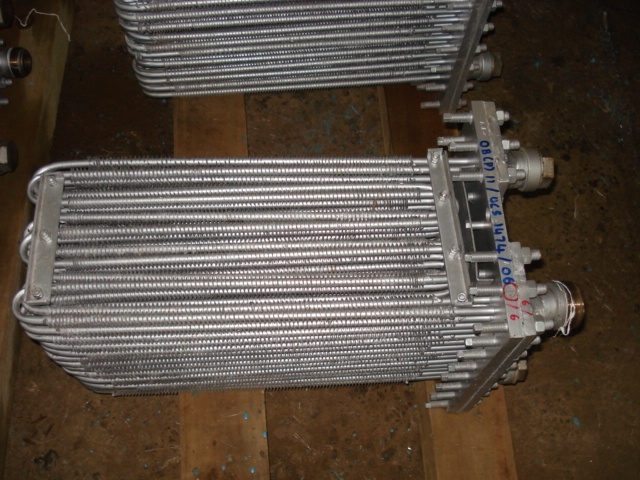 Finned Tube Heat Exchangers is a type of heat exchanger design that uses plates and finned chambers to transfer heat between fluids. 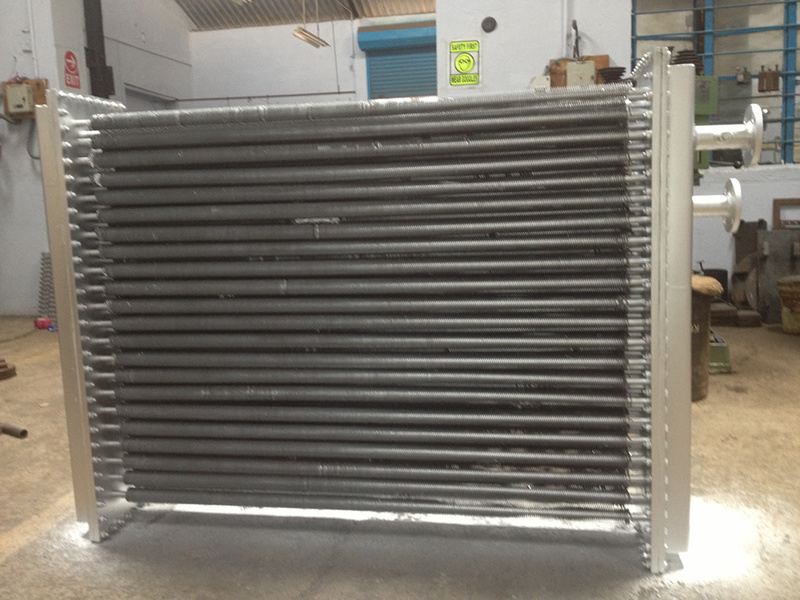 It is often categorized as a compact heat exchanger to emphasise its relatively high heat transfer surface area to volume ratio. 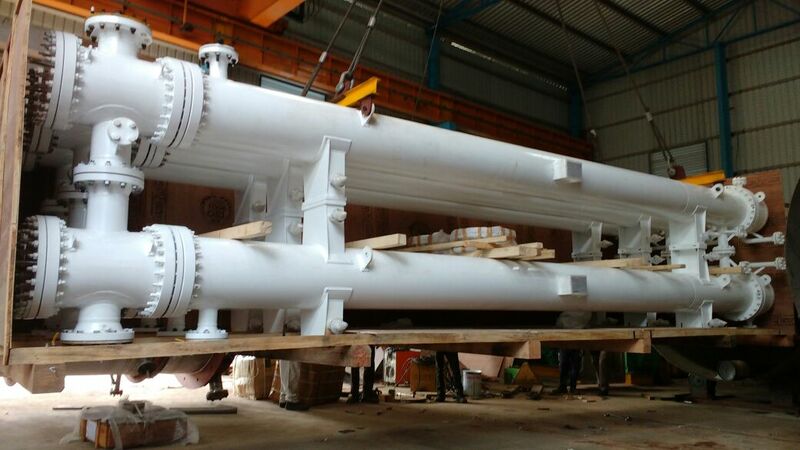 The plate-fin heat exchanger is widely used in many industries, including the aerospace industry for its compact size and lightweight properties, as well as in cryogenics where its ability to facilitate heat transfer with small temperature differences is utilized. Originally conceived by an Italian mechanic, Paolo Fruncillo. 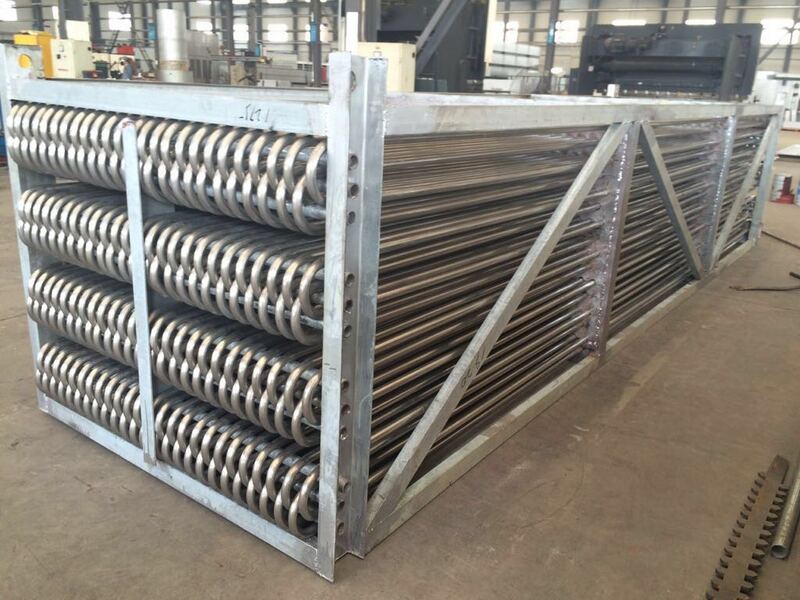 A plate-fin heat exchanger is made of layers of corrugated sheets separated by flat metal plates, typically aluminium, to create a series of finned chambers. Separate hot and cold fluid streams flow through alternating layers of the heat exchanger and are enclosed at the edges by side bars. Heat is transferred from one stream through the fin interface to the separator plate and through the next set of fins into the adjacent fluid. 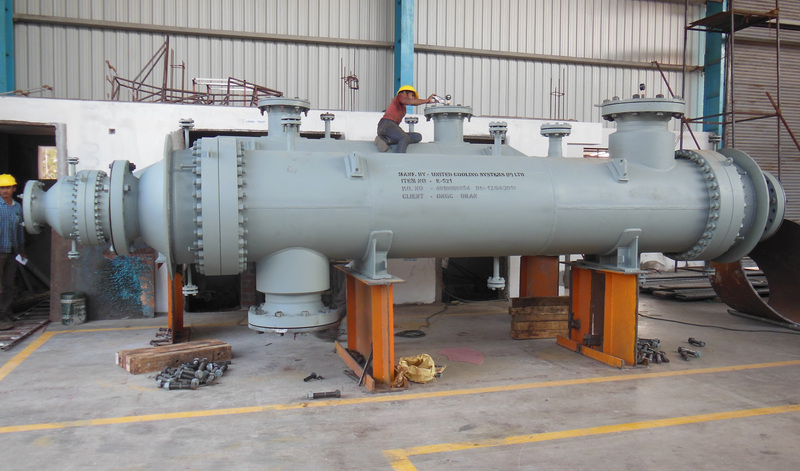 The fins also serve to increase the structural integrity of the heat exchanger and allow it to withstand high pressures while providing an extended surface area for heat transfer. 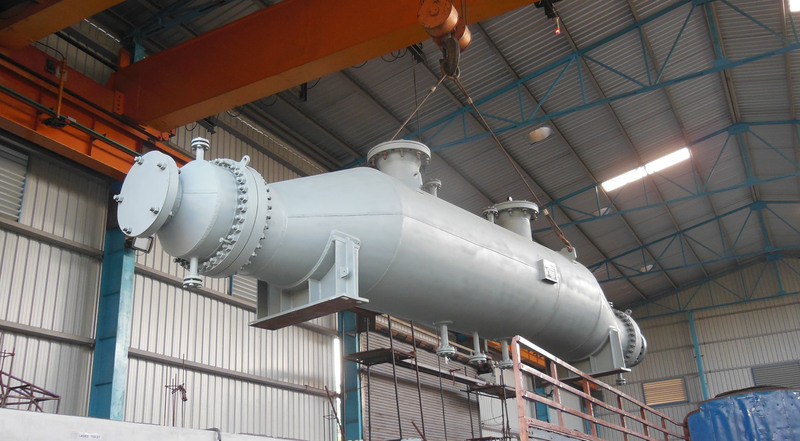 The cost of Fin heat exchangers is generally higher than conventional heat exchangers due to a higher level of detail required during manufacture. However, these costs can often be outweighed by the cost saving produced by the added heat transfer. 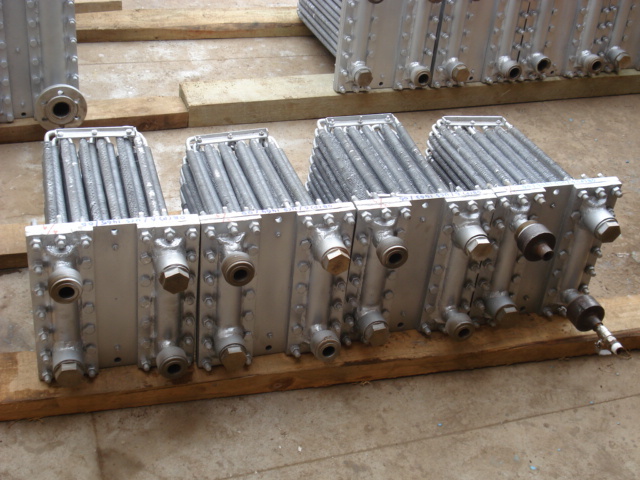 Fin heat exchangers are generally applied in industries where the fluids have little chances of fouling. The delicate design as well as the thin channels in the fin heat exchanger make cleaning difficult or impossible.